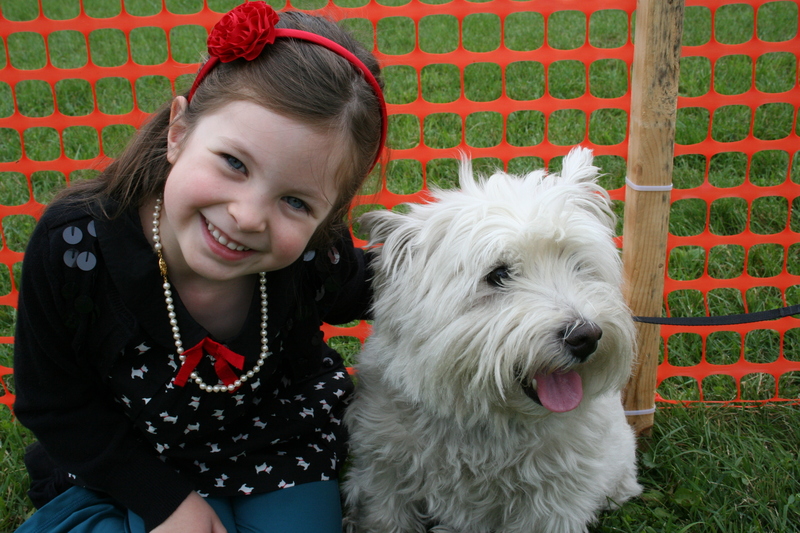 This morning we went to the annual Westie Fun Day. 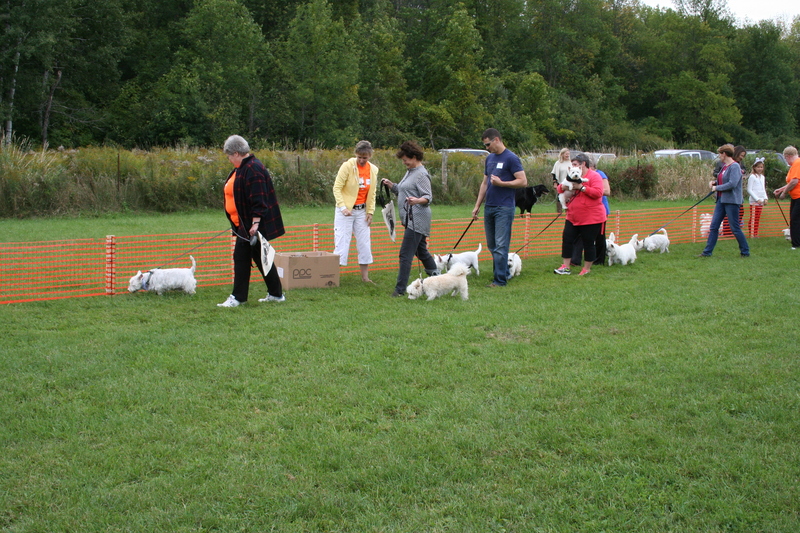 That is an event we go to every fall to help raise money for a West Highland White Terrier rescue group. 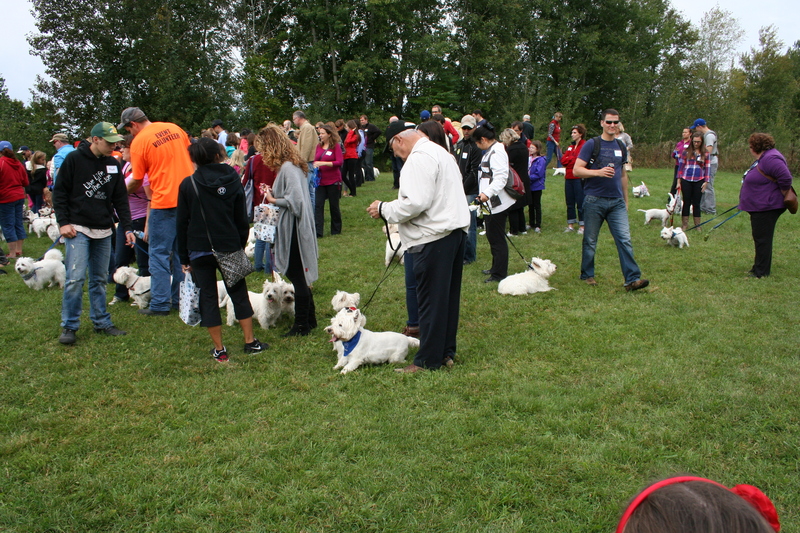 This awesome group rescues these little white dogs who are abused, mistreated, sometimes from puppy mills (bad bad places) or sometimes families have to surrender there dogs to the group for various reasons. 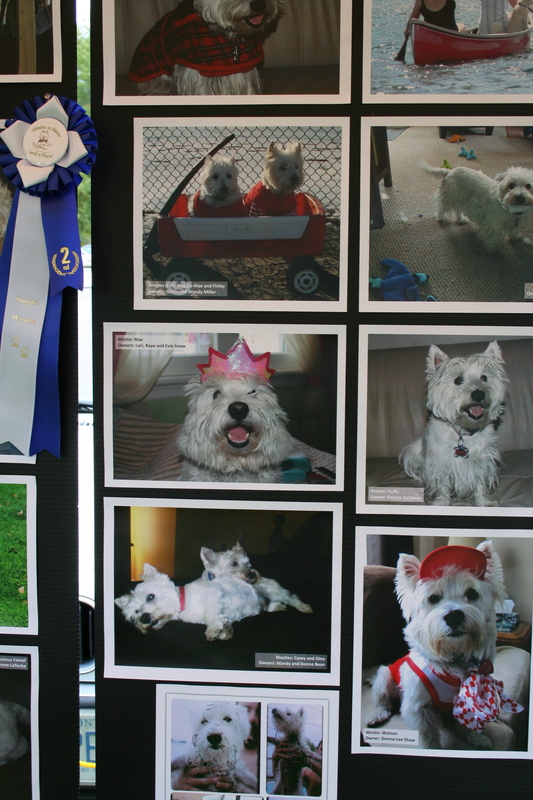 Westies in Need take those dogs and give them medical and emotional help when needed and find them foster homes and forever homes. 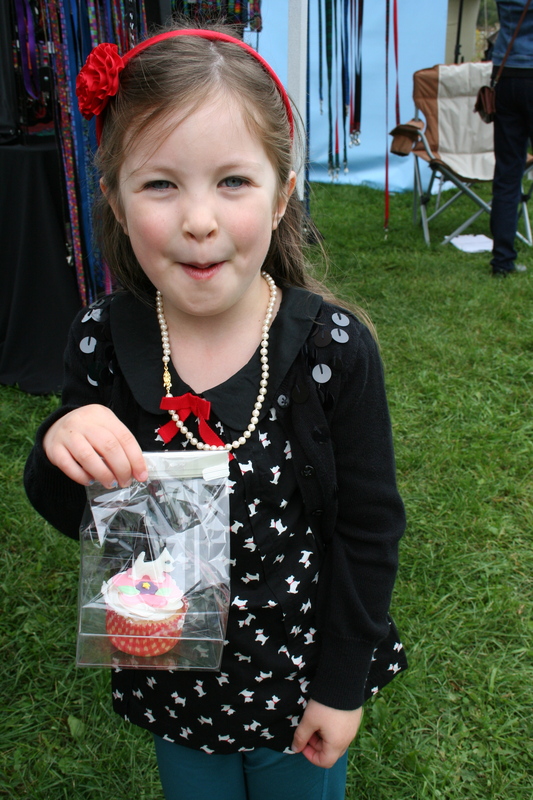 This event helps raise money to make this possible. 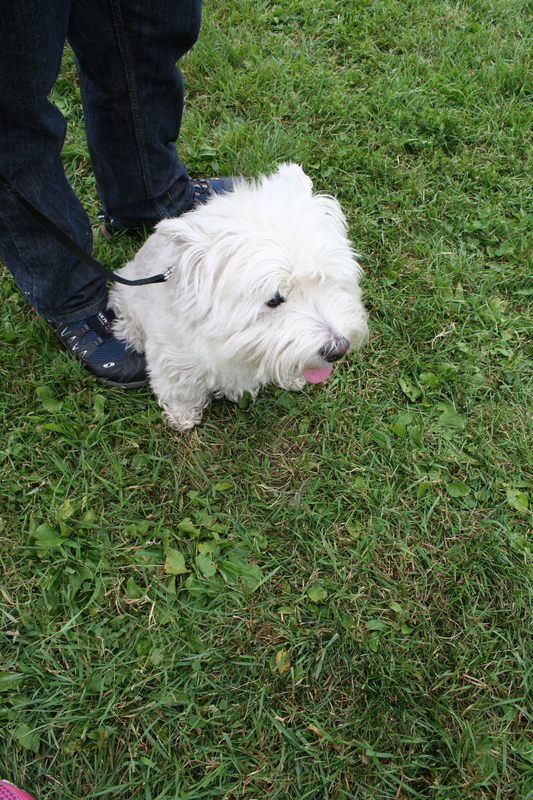 Max is our Westie and he has had a few issues, but he is our boy and we love him. We have done a lot of work with him and he has come very far. When Evie was born we were not sure what would happen. We were very guarded and cautious. He was unsure of her at first and kept a safe distance, but as she grew (she was taught from a very early age about dog safety) he learned to trust her and now he loves her and she loves him. Now they just make eye contact and he rolls over for a belly rub. 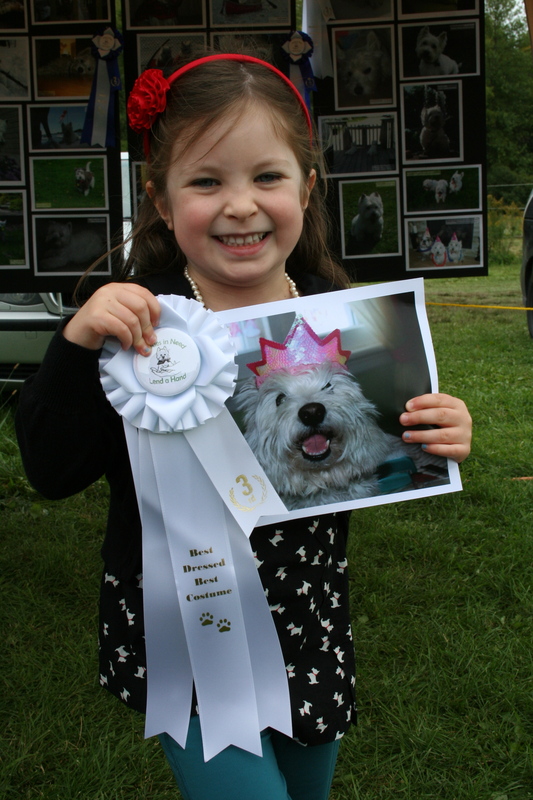 Evie was very proud today because Max won a ribbon (third place) for best Westie in costume in the photo contest. 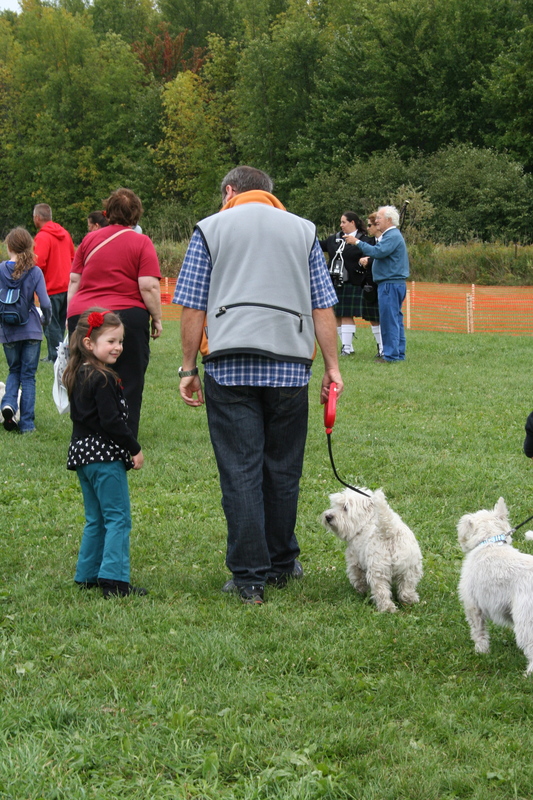 more Westies, see the bagpipers in the background, they pipe for the Westie walk. 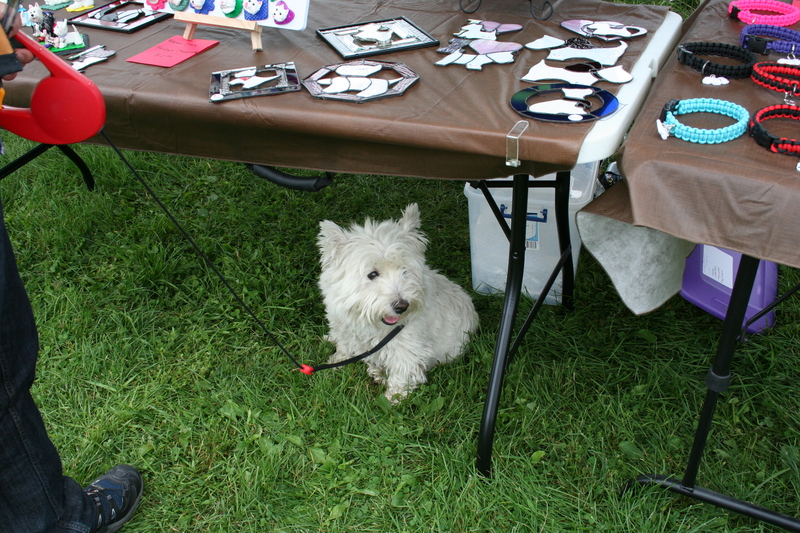 Nothing calms a Westie like bagpipes! Max was a little bit subdued this year, normally he is running and barking at dogs and strangers, he really doesn’t like strangers. 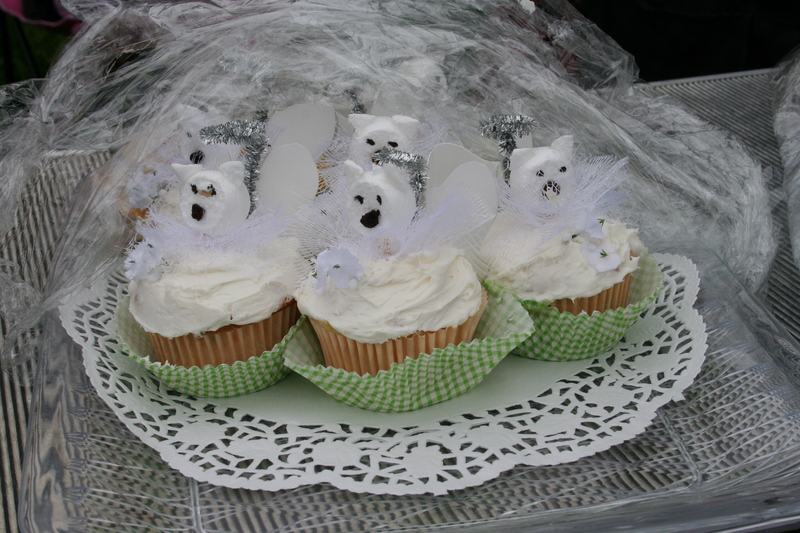 a special cupcake with a westie sitting on a pink and purple flower! Max is now sleeping on his bed (new buckwheat kernel stuffed bed…uber comfy), he is pooped after a busy morning. It was a little stressful for him but he was really a good boy, he didn’t bark at anyone and even let a few strangers pet him. I think he was the oldest and slowest today. Max’s favourite treats are baby carrots, bell peppers and blueberries and he is having a few this afternoon once he is done his nap! 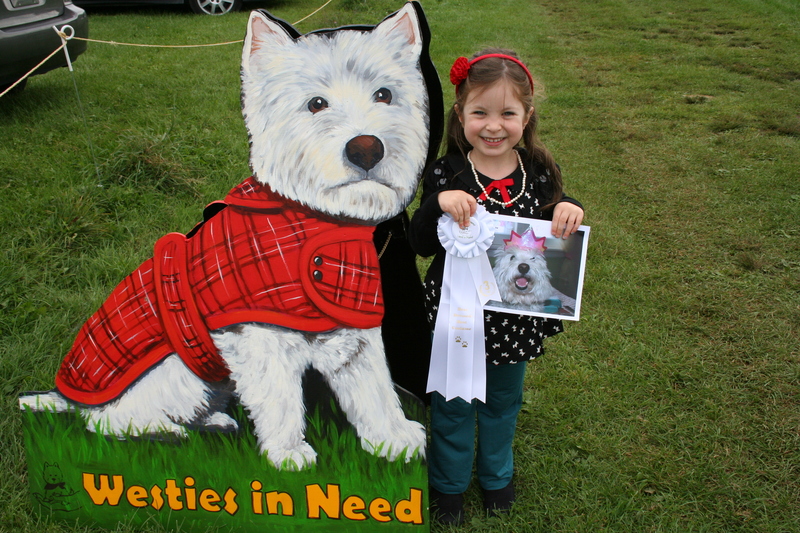 This entry was posted in the places we go and tagged dog rescue, West Highland White Terriers, Westie rescue, Westies in Need.